I have enough temptation in my life without you giving us an assignment that can only end in discontentment and heartache! 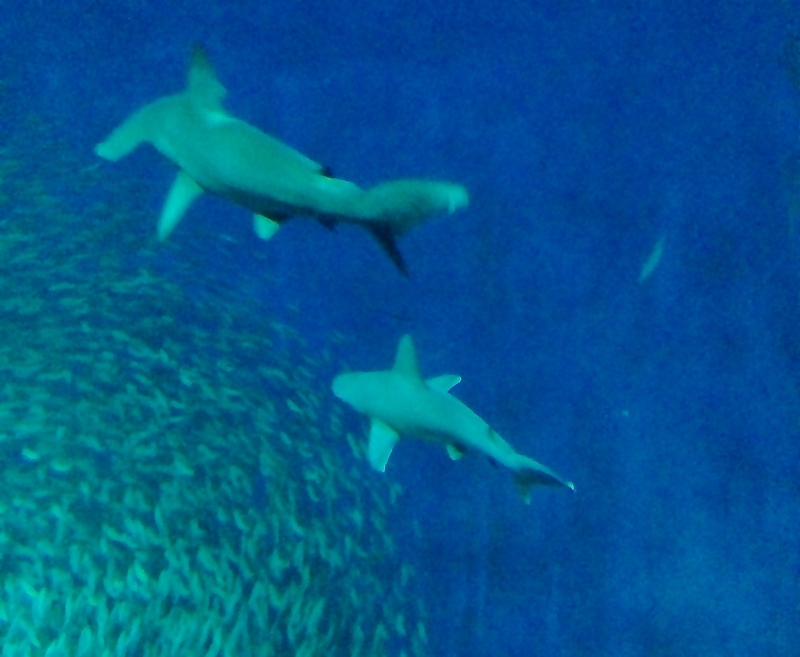 You make me feel like these sharks—so many choices, which one shall I go after? . . .the eye is not satisfied with seeing,. . . I bought the NEW Kiore Moana theme less than two weeks ago. Then today you urged us to visit the Themes Gallery and take a tour. Here are the five that sucked me in with their responsive design, fancy sliders, featured circle photo, and optional page layouts. This is a story tellers dream theme. It supports your story with well designed image display areas including a full width header and menu navigation bar. The front page features the About Me box and flat social icons as well as features like Whereabouts and Instagram in separate sections. The ample footer has a four section capacity offering enough room for the necessary info allowing uncluttered pages to shine. This theme may well make an appearance on my blog before we leave for our Africa trip! If I were a Photo Blogger this would be my choice. The images take center stage. A left narrow column features the menu and social icons. A generous 3 column footer handles everything else. Awesome has responsive design and a slider with room for 6 images. Some theme examples included in the demo are Gallery, Standard Post and Quote format. Featuring a full width responsive design Wire has a top navigation menu, Sticky Post, and Video along with the other more typical features like image posts, links, quotes, and Gallery. Another theme with a large footer to accommodate all the things that previously were displayed in Sidebars. My guess is this theme fits a business better than a individual. I looked at this theme months ago and thought it might be designed for freelance types, but revisiting it today I realized has tremendous versatility. It’s the 27th most popular theme on WP and used by almost 2000 sites. It’s packed with features, but doesn’t state that it’s Responsive. I think that would be a deal breaker for me. The most expensive theme of the five this one has a Retro look on the sample demo. Again the lack of Responsive design would make me hesitate, but otherwise the features list is long. The 45th most popular theme used by over 1400 bloggers. The creators put the focus on writing and I find the Feature Article layout with the two columns and the green ribbon appealing. Includes a video post format too. Conclusion: I know I’ll end up with Adventure, unless they debut another new theme before I hit purchase. What’s your current theme and did you find anything that tempted you?